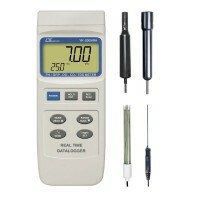 Categories: Brands, Hand-held Tester, Lutron, Pure Water Meter, Pure Water Meter. * Separate Pt glass electrode, high performance for pure water low conductivity measurement. 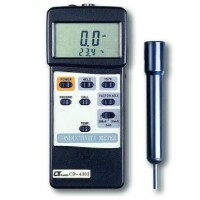 * Measurement water conductivity : 0 to 1999 uS . 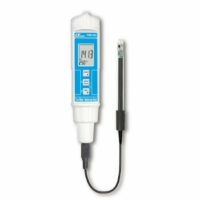 * Measurement water hardness : 0 to 1000 ppm. * Separate Meter with the probe, easy operation. * Hold , Record ( max., min.). * DC 1.5V battery ( UM-4/AAA ) x 4. Conductivity Meter Range: 200uS/2mS/20mS, ATC, Cell adj.